Going on Dawn Patrol means getting to the good stuff first, like surfing at daybreak or leaving fresh tracks down the mountain. 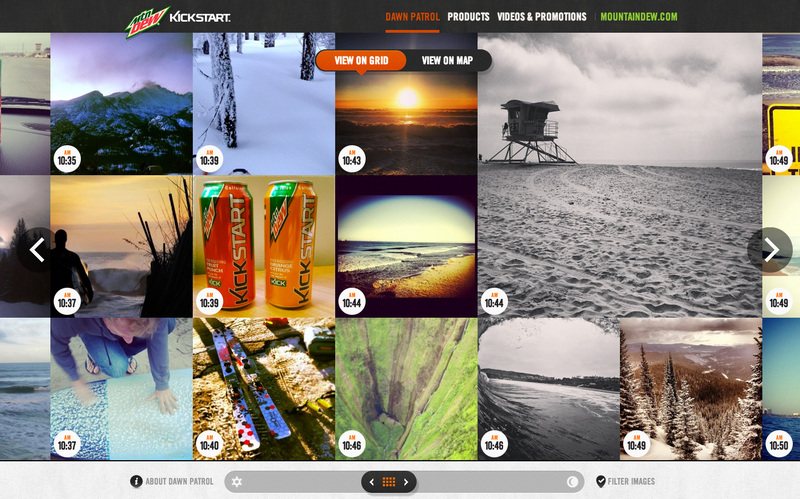 We wanted to tap into this cultural phenomenon, so we transformed the online home of Kickstart into the Dawn Patrol Report—an Instagram powered photomap that showcases morning missions from all across the country. 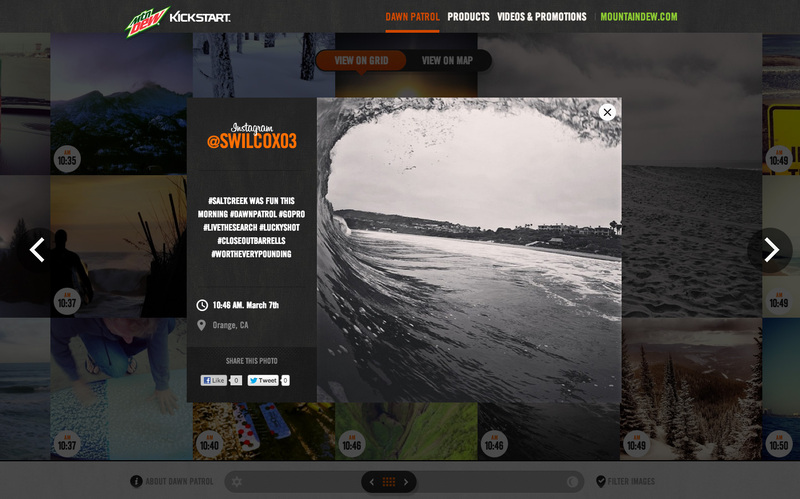 Visitors to the site can scroll through the user-generated images by time or use a map overlay to display location. 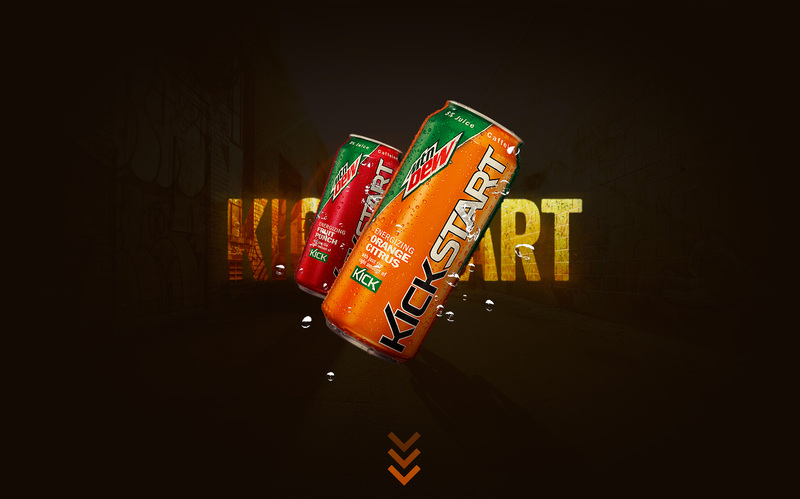 The site highlights the latest Kickstart videos and promotions, as well as individual product pages featuring eye-catching HTML animations. To complement the launch of the Kickstart TV spot, we created a series of rich media units. The integrated campaign combined to successfully raise awareness of the new product and provided a burst of much-needed morning inspiration.